The Adverb Project is a performance ensemble comprised of adult student learners. An extension of Verb Ballets’ community dance lessons we offer ongoing workshops to learn choreography and performance technique. 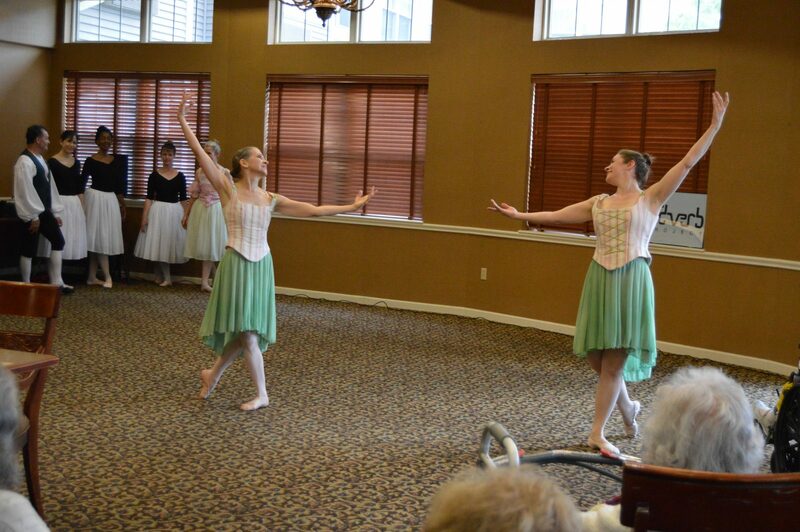 The ensemble has performances through out the year in studio and senior living facilities. The Adverb Project is open to all community members taking Verb Ballets’ Dance for Everyone classes. You can be a performing member or just learn choreography as a non-performing member. Rehearsals are Monday nights 7:30 – 8:30 pm. Enrollment is ongoing. Participation is for a 3-month period, at $60.00 a month. Ready to get on stage? Join the Adverb Project today! If you are interested in participating, please contact Richard Dickinson, Associate Artistic Director after class or send an email.